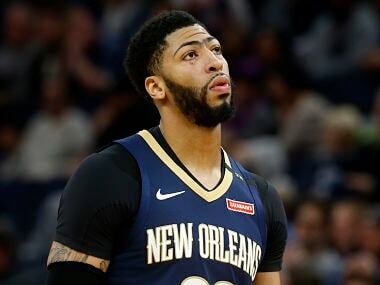 Davis also had 17 rebounds for the Pelicans, who were down 16 after one quarter and behind by nine with four minutes remaining in the contest. "I just kind of felt like tonight was definitely my night," Davis said. 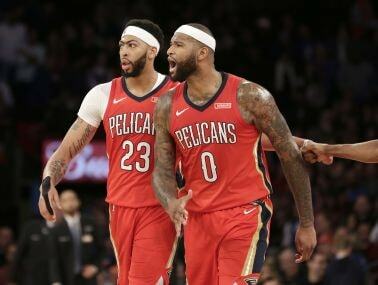 Jrue Holiday added 31 points, and DeMarcus Cousins had 15 points, 16 rebounds, seven steals and five assists and for the Pelicans. Holiday also had three baskets and a couple of free throws in overtime to help seal the win in front of a crowd of 19,800 at Madison Square Garden. "We did a great job in the overtime," Pelicans coach Alvin Gentry said. "AD was just huge for us, and when you get into those zones like that he’s really good." Kristaps Porzingis and Tim Hardaway each scored 25 points for the Knicks, who lost their third straight and 10th in their last 12 games. Jarrett Jack had a season-high 22 points, and Enes Kanter finished with 18 points and 10 rebounds in the defeat. Sunday's loss was not a good sign for the Knicks, who start a seven-game, two-week, cross-country road trip on Monday against Brooklyn. 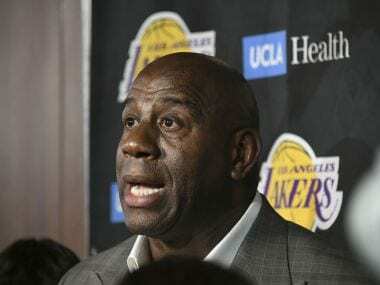 "I think we’ve just got to do a better job of when we’re up 12, 15 points, we’ve got to take it to another level, another notch," Hardaway said. "We haven’t been doing that these last couple of games." Elsewhere, Jimmy Butler scored 24 points as the Minnesota Timberwolves extended their win streak to five games with a 120-103 rout of the Portland Trail Blazers. Karl-Anthony Towns had 20 points and 11 rebounds for his NBA-leading 37th double-double of the season for the 'Wolves who recorded all five of their wins at home. It is just the third time in club history they have won five contests on a homestand. 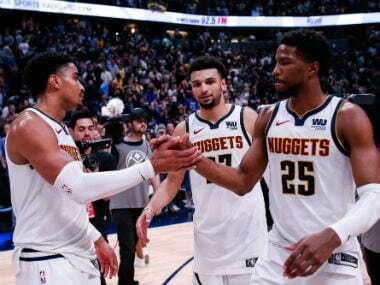 Jamal Crawford came off the bench to score 10 points as Minnesota's new veterans and young stars start to come together and learn how to close out games. Damian Lillard scored 21 points, and CJ McCollum and Pat Connaughton each had 18 for Portland, who were down by as much as 26 points. Portland suffered their third loss in a row as injuries have taken their toll on the team this season. Also, Goran Dragic's 25 points propelled Miami to a 97-79 victory over the Milwaukee Bucks that pushed the Heat within one game of the Cleveland Cavaliers for third place in the Eastern Conference. The Heat, a tad sluggish to start, used a 14-0 second-half scoring run to notch their seventh straight victory, tying the Eastern Conference-leading Boston Celtics for the longest active winning streak in the league. "I thought the guys really stepped it up in the second half," Miami coach Erik Spoelstra said. "It was great to see those inspiring efforts. Even at the end, the loose balls, (James Johnson) diving on the floor. You don't need to do that at that point, but that's becoming the DNA of this group." Dragic connected on nine-of-17 shots from the floor en route to his 25 points. Guard Josh Richardson added 16 points and Tyler Johnson chipped in 14. 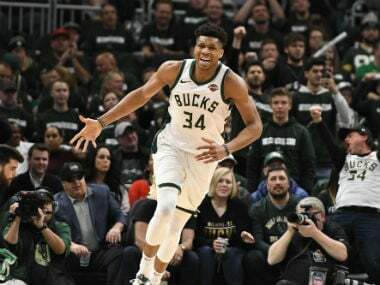 "They've won seven in a row now and they're playing hard on both ends," Bucks coach Jason Kidd said. Milwaukee regained the advantage, but the Heat responded with a scoring explosion that started with a three-pointer by Tyler Johnson and ended with a jump shot by Dragic. They enjoyed a double-digit cushion until they were called on to fend off a Bucks charge in the final frame. Dragic's second-half surge included a burst of 11 straight points, including three three-pointers.